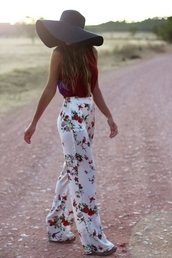 Equated with boho chic, palazzo pants are nowadays favored by those who love the bohemian, hippie, or gypsy look, but they did not start out that way. The Goddess of Style herself, Coco Chanel, wore these back in the 1930’s after she had seen them worn in Venice. 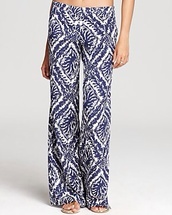 Palazzo pants are known for their unique cut: they flow evenly from waist to ankle, remaining wide through the leg. 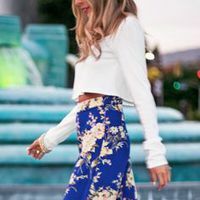 They elongate the body and make the wearer look more streamlined, making them a summer favorite of many a boho goddess and festival-going celebrity. 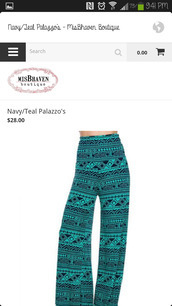 They can be worn to the beach, the club, a festival, or a boardroom. It is all about mixing and matching, accessories, and attitude!